The hormones in your body are a key component of your overall health. A hormone is a chemical substance produced in the body that controls and regulates the activity of cells and/or organs. All the hormones in your body interact with each other. They are like a symphony that must play in tune for you to feel great and be healthy. Your hormone levels change throughout your lifetime. The amount of hormones your body makes and the degree of fluctuation or change in hormone levels is important. There are many things that influence how much of a hormone is made. For example, if you are stressed, take an antibiotic, deliver a baby, are near toxins, have an unhealthy diet, exercise too much or too little, the amount of hormones that your body produces will be affected. We now have the science to balance the hormones in your body—no matter what is changing in your life. Whether you are suffering from premenstrual syndrome, perimenopause, menopause, or postpartum depression, balancing your hormones is a key component to help you feel great. The great news is that you can now have your hormone replacement therapy individualized and customized to meet your own personal needs. In the past, the only type of hormonal therapy available was a “one size fits all” type, which meant that every woman, regardless of symptoms and severity of symptoms, received the same dosage of hormonal treatment. Now, with customizable hormonal therapy, this is no longer the case. Women can receive treatment specifically designed for their body and symptoms. Up until a few decades ago, the only hormonal therapy available in this country was synthetic hormone replacement. When it comes to hormone replacement, the word synthetic means “not the same chemical structure that your own body makes.” On the contrary, when referring to hormones, “natural” means “the exact same chemical structure as what your body makes.” It does not necessarily mean that the item has a plant origin, even though hormones can be made from soy or yams. In this country, most are made from yams. If the chemical structure of the hormone matches the chemical structure of the hormone in your body, it is called “bio-identical”. Therefore, even though some hormones are produced in a laboratory, they are still called natural and bio-identical if they match the chemical structure in your body. Anything else is called synthetic. 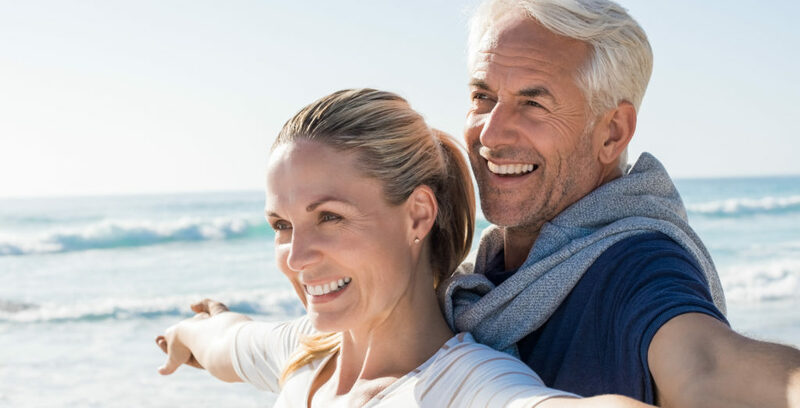 Why are Bioidentical Hormones Better for You? The government sponsored Women’s Health Initiative Program halted its study on estrogen plus progestin (synthetic progesterone, or Prempro) on July 9, 2002. The study was ended three years earlier than initially planned because researchers found that there was an increased risk of breast cancer in some of the women who were participating in the study and were in the group taking Prempro. A 22% increase in heart disease, a 26% increase in breast cancer development, a 33% decrease in hip fractures, a 37% decrease in colorectal cancer and a 41% higher risk of stroke. The Women’s Health Initiative Study brought to the forefront why synthetic hormonal therapy will quickly become a treatment of the past. Additional studies, such as the Hearth and Estrogen/Progestin Replacement Study Follow Up (HERS II), agreed with the findings of the Women’s Health Initiative Program, that synthetic progesterone increases cardiovascular risk in women and has an unfavorable effect on cholesterol levels. The key to effective hormone replacement therapy, in summary, is individuality. Having your hormonal therapy customized at any age helps maintain the optimal hormonal symphony for your body. Call Rejuvenation Wellness & Aesthetic Medicine today at (916) 670-7601 and make an appointment to have your hormonal levels tested and individually balanced for YOU, and start feeling better soon. I’ve been looking into hormone replacement therapy as a way to help relieve the symptoms of menopause. You mentioned that hormone therapy can be customized to fit with the needs of the individual receiving the treatment. This is great because I’m sure that not every woman going through menopause needs the same level of treatment. I can’t wait to give this a try to see if it helps with hot flashes and other symptoms.